Hina Khan gets nostalgic as she shares a throwback family picture outside the Notre-Dame Cathedral in Paris. The Notre-Dame Cathedral in Paris went up in flames on Monday evening leaving several devastated. Bollywood celebs like Arjun Kapoor, Vicky Kaushal, Boman Irani, and others expressed their grief and shared overwhelming posts on social media. 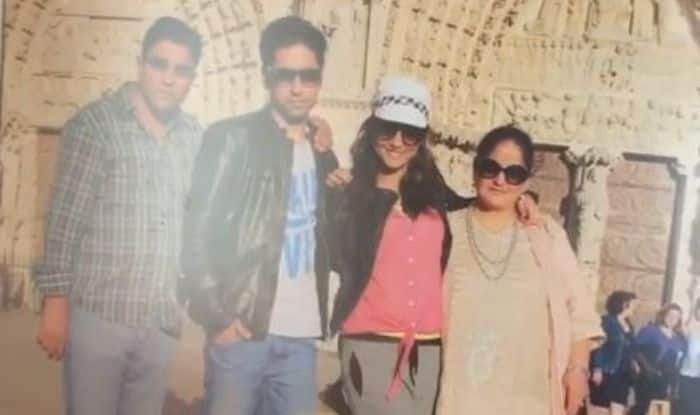 Now television star Hina Khan expressed sadness by sharing a throwback picture with her family outside the Cathedral . The news of the Cathedral catching fire took the internet by storm in no time and people from all over the world expressed their sadness. Hina visited the Notre-Dame Cathedral a few years ago and even clicked a picture outside the church with her family. After hearing the news, Hina took to her Instagram story to share a video where she can be seen recording a throwback family photo outside the church. She captioned the video, “#NotreDameWillRiseAgain.” While recording the video, Hina says can be heard as saying, “So, NotreDam is one of our memory, that is a family picture outside Notre Dam. Sad.”. Hina Khan loves going on family vacations. She recently visited the Maldives with her family and flooded her Instagram with pictures from the beautiful beaches in the Maldives. On the professional front, Hina is busy with Ekta Kapoor’s Kasautii Zindagii Kay where she plays the role of the antagonist Komolika. Hina is all set to make her Bollywood debut with Vikram Bhatt’s film where she will be seen playing the lead character. Apart from Hina, the film will also star veteran actor Frida Jalal. Last year, Hina shared a picture with Jalal from the sets of the film and captioned it, “She’s not just a veteran star but also a creative powerhouse and Bollywood’s encyclopaedia. Oh but her sassy, sweet attitude keeps us entertained on the sets. Such a lifetime worth of an experience and a complete privilege it is to work with dear Farida Ji.”.